A Specialist in asset forfeiture and the proceeds of crime. Qualified to accept instructions by way of direct public access. Michael Newbold is instructed on behalf of prosecution agencies, defendants and interested parties (both individuals and businesses) in cases involving asset forfeiture and the proceeds of crime. They include restraint and receivership proceedings, confiscation hearings, the enforcement of orders, cash forfeiture proceedings, proceedings for the condemnation of goods and restoration appeals. Michael also regularly advises on and acts in criminal and regulatory proceedings, particularly cases brought by or against local authorities and those involving financial crime. Michael both prosecutes and defends in criminal proceedings, with a particular emphasis on regulatory offences. He has experience of prosecuting for the CPS, Royal Mail and a number of other public authorities and private prosecutors. He has also acted as independent counsel for a number of public authorities in relation to ongoing or anticipated criminal proceedings, reviewing documents to identify those where legal professional privilege is engaged. Michael’s practice predominantly involves cases with a financial theme, whether prosecuting or defending in cases of fraud, acting in ancillary proceedings in relation to what are alleged to be the proceeds of crime, or advising companies and individuals affected by fraud. His practice includes experience of acting in cases of serious missing trader (“MTIC”), ‘Ponzi’ and diversion frauds. Michael advises and appears for prosecuting authorities, defendants and interested parties at all stages of restraint and confiscation cases. He has extensive experience in the enforcement of confiscation orders and is presently instructed in relation to the enforcement of several multi-million pound orders. In addition, Michael has experience of appearing in the Chancery Division of the High Court, in the Family Court and in the County Court in civil and family proceedings overlapping with ongoing restraint and confiscation applications. He has also been instructed in cases where registration of overseas orders has been sought in this jurisdiction and cases where certification of domestic restraint and confiscation orders has been sought to permit their enforcement in the EU. Michael regularly acts in proceedings pursuant to the Proceeds of Crime Act 2002 for the detention and forfeiture of seized cash, both at first instance in the Magistrates’ Court and on appeal to the Crown Court. He is often instructed in cases involving large amounts of cash or those which have significant complexity. Following a period on secondment to the then Serious Organised Crime Agency, Michael is also familiar with proceedings for the civil recovery of the proceeds of crime pursuant to Part 5 of POCA. Michael is often instructed, whether by local authorities, companies or individuals, in regulatory prosecutions and associated proceedings for matters as diverse as fraud, trade mark offences, breach of abatement notices and failure to comply with the Food Hygiene (England) Regulations (both in respect of civil complaints and criminal breaches), licensing matters and animal welfare offences. As well as representing parties in Court, Michael is experienced in advising businesses and individuals who may be the subject of anticipated proceedings on the approach they should take during any investigation. Michael deals regularly with issues arising across international borders. He has experience of advising on the appropriate use of material which has been obtained by way of mutual legal assistance, particularly where attempts are made to use that material in other proceedings. He is also instructed to act in cases where applications are made both the register overseas restraint and confiscation orders in England and Wales for enforcement here, and in cases where applications are made to certify domestic orders for enforcement outside the jurisdiction. Michael is instructed to act in cases involving public law challenges to the decisions of public bodies, together with the use of judicial review to challenge decisions of Courts. Michael acts in varied litigation involving indirect tax. He has experience of acting for HMRC in the First Tier Tribunal (Tax) in a number of cases, both as junior alone and as led junior, in which the right to deduct input tax has been denied by HMRC on the basis of a connection with Missing Trader Intra-Community Fraud. He is also frequently instructed in proceedings relating to the seizure of goods by relevant authorities, including condemnation proceedings brought pursuant to the Customs and Excise Management Act 1979 before Magistrates’ Courts (together with appeals against such orders) along with appeals against decisions not to restore goods which have been seized in the First Tier Tribunal (Tax). Westminster CC v. Whittard and Others  Crown Court at Southwark – Prosecution of a local authority tenant and his sub-tenant for fraud offences relating to the sub-letting of a council property. Also instructed in confiscation proceedings. LB of Ealing v. Chrisostomou & Another  Crown Court at Harrow – Prosecution of two property owners for breach of an enforcement notice pursuant to the Town and Country Planning Act 1990 involving allegations of abuse of process. Also instructed in confiscation proceedings which required the Court to consider issues of joint obtaining to ensure the resulting orders complied with Article 1 Protocol 1 ECHR. Re Hidrey  EWHC (Admin) – Responding to a Certificate of Inadequacy application in which the defendant sought to argue that his ‘hidden’ assets were no longer recoverable due to the political instability in Yemen. Re Kone  EWHC (Admin) – Application for the appointment of an enforcement receiver to realise a matrimonial home. The application was made some years after the original confiscation order had been made in respect of ‘hidden’ assets and involved consideration of Articles 6 and 8 together with Article 1 Protocol 1 of the ECHR. Regina v. Yaseen  EWCA Crim 2139 – Consideration of the circumstances in which the Court of Appeal could allow an appeal against an agreed confiscation order where there had been a post-confiscation clarification of a third party’s interest in realisable property in civil proceedings. Re Price  EWHC 455 (Admin) – Instructed for the respondent in Certificate of Inadequacy proceedings in which the defendant sought to re-litigate matters resolved against him in the Crown Court in the original confiscation proceedings when a £2.3m order had been made. Re A & A  EWHC 304 (Admin),  CrimLR 577 – Led (by Jonathan Kinnear QC) in ongoing proceedings to appoint an enforcement receiver in respect of two £16m confiscation orders. Consideration of the extent to which Article 1 Protocol 1 ECHR required the courts to credit sums recovered from money launderers as if paid towards the defendants’ own confiscation orders. Re Drewett  EWHC (Admin) – Contempt of Court application in relation to breaches of restraint and enforcement receivership orders. The Defendant, who had originally been convicted of conspiracy to defraud arising from the sale of unfit meat, was committed to a period of 9 months imprisonment for his contempt. Re Malik  EWHC (Admin) – Appointment of an enforcement receiver pursuant to the Criminal Justice Act 1988 in relation to the property of a defendant dubbed “Britain’s biggest benefit cheat” by a number of newspapers. Regina v. Emmett  EWCA Crim 535 – Having acted for the prosecution in the Central Criminal Court, where the Court was persuaded to reduce a £1m confiscation order by only £10 on the basis that represented a ‘just’ variation, successfully resisted an application for leave to appeal. Subsequently resisted an application in the enforcing Magistrates’ Court by the Defendant to stay enforcement proceedings on the grounds of delay. Malik v. CPS  EWHC 4591 (Admin) – Instructed by the respondent in an appeal by way of case stated against a refusal by the Magistrates’ Court to stay enforcement of a confiscation order by civil methods, it having been conceded that committal in default would breach the appellant’s article 6 ECHR rights. Regina (Jalil) v. City of Westminster Magistrates’ Court  EWHC 3033 (Admin) – Responding to proceedings for a Certificate of Inadequacy by two defendants, together with their applications to judicially review the decision of the Magistrates’ Court to commit them to prison in default. R v. Harriott  EWCA Crim 2294 – Instructed by the respondent in an appeal against a confiscation order which considered the extent to which the equitable interest of a Defendant’s spouse in realisable property could be calculated at the time of a confiscation hearing. Re Sharma  EWHC (Admin) – Led (by Kennedy Talbot) in proceedings for the appointment of an enforcement receiver to satisfy a £4.1m confiscation order. The application was of particular complexity, with 11 interested parties seeking to intervene in the proceedings. Re Jones  Crown Court at Isleworth – Instructed on behalf of the NCA in proceedings for variation pursuant to s.23 POCA to reflect inadequacy, and concurrently for commitment of the defendant in default of payment of the £2.5m confiscation order (unusually heard by the Crown Court in an ARA-legacy case). Re Gore-Strachan  Crown Court at Reading – Proceedings on two distinct occasions for contempt of court following breaches of a restraint order by the defendant. Regina v. El Kurd and Others  Crown Court at Southwark – Led (by Andrew Campbell-Tiech QC) in confiscation proceedings against the defendant and two others. The principal defendant, who had pleaded guilty to money laundering in relation to the activities of a MSB, agreed the terms of a confiscation order with a finding of benefit of £100m and available assets of £5.4m. Re H Crown Court at Basildon – Application for a POCA restraint order made inter partes and on notice to the alleged offender. The alleged offender was represented by leading counsel. Re O and Others  Crown Court at Southwark – Instructed to represent the Royal Mail (as prosecutor) responding to an application by a landlord for the release of leasehold properties, held by a limited company, from a restraint order. Re Robinson  Crown Court at Southwark – Represented the CPS in response to an application for variation of a restraint order by creditors of the defendant with a partially secured interest in restrained assets. Subsequently instructed to appear on behalf of the CPS as an interested party in an application to the Chancery Division of the High Court in relation to the creditors’ application for a freezing order. Re Javaid  Crown Court at Lewes – Representing the prosecution in proceedings to increase a confiscation order pursuant to s.22 of POCA following the discovery of various bank transfers on the defendant’s release from his custodial sentence. Re Hussain  Crown Court at Birmingham, Family Court at Birmingham – Instructed by the NCA in proceedings for the appointment of an enforcement receiver to satisfy a confiscation order listed alongside associated proceedings in the Family Court. Re Scarrott  Crown Court at Kingston – Led (by Mark Seymour) in proceedings to empower an enforcement receiver to realise tainted gifts which the defendant accepted he had made to three interested parties (such that, of the original £8.4m confiscation order, £3.7m was represented by tainted gifts). Re Beman  Crown Court at Cardiff – Application for appointment of an enforcement receiver in which various interested parties (both individuals and a company) sought to assert beneficial interests in realisable property. Home Office v. AT  Folkestone Magistrates’ Court – Application for forfeiture of in excess of £125,000, involving analysis of work and benefit records stretching back over 18 years. NCA v. F and M  Westminster Magistrates’ Court – Instructed by the NCA in proceedings to forfeit over £2m linked to ongoing confiscation proceedings. HMRC v. MS  Crown Court at Sheffield – Appeal against a decision of a District Judge to order only partial forfeiture of seized cash on grounds of proportionality in circumstances where a confiscation order had also been made. Home Office v. DP  Ealing Magistrates’ Court – Application for forfeiture of €100,000 seized from the respondent at Heathrow Airport in which she asserted the cash represented the casino winnings of her partner, a wealthy foreign national. Home Office v. MM (2012) Uxbridge Magistrates’ Court – Application for forfeiture of cash seized from a former reality TV show contestant. Operation Idaho  – Advising a local authority on the role it could properly play in relation to a private prosecution intended to be brought for copyright offences. LB of Ealing v. I-Mobile and Gaba  Crown Court at Harrow – Prosecution of a company and its director for the sale of mobile telephone accessories contravening the Trade Marks Act 1994. Also instructed in consequential confiscation proceedings. LB of Ealing v. Adam and Ali  Crown Court at Isleworth – Prosecution of two individuals for food hygiene offences arising from their operation of a restaurant. Their breaches of regulations were characterised as “utterly unsafe” and led to the imposition of suspended sentences of imprisonment. Re Price  Crown Court at Snaresbrook – Contested application to register a previously made confiscation order pursuant to the Criminal Justice and Data Protection (Protocol No.36) Regulations 2014 for enforcement against a property in France. Re Wright  Crown Court at Hove – Application to register restraint and confiscation orders pursuant to the Criminal Justice and Data Protection (Protocol No.36) Regulations 2014 for enforcement against a property in Cyprus. Re L & W  Crown Court at Southwark – Registration of two orders made in Finland (one post-conviction, one a civil order) arising from the involvement of defendants in fraud, pursuant to the Proceeds of Crime Act 2002 (External Requests and Orders) Order 2005. R (Piper) v. Northampton Magistrates’ Court  EWHC (Admin) – Acting for the interested party in an application to judicially review a decision of the enforcing Magistrates’ Court to commit a defendant to prison in default of payment without legal representation. R (Jestin) v. Dover Magistrates’ Court  EWHC 1040 (Admin) – Acting for the interested party in an application to judicially review a decision by the enforcing Magistrates’ Court to commit the Defendant to a period of imprisonment in default of payment of a confiscation order in circumstances where he owned a real property but had taken inadequate steps to realise it. Electrade 247 Ltd v. HMRC  UKFTT 637 (TC) – Led (by Jonathan Kinnear QC) in an appeal against a decision to deny the right to deduct input tax described by the tribunal as one demonstrating “considerable difference[s]” to an ordinary MTIC appeal. 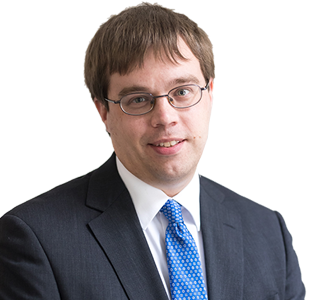 Lakonia Limited v. HMRC  UKFTT 346 (TC) – Led (by Jeremy Benson QC) in an appeal against a decision by HMRC to deny the right to deduct input tax amounting to £14.3m on the basis of a connection between the deals and a fraudulent tax loss. Libra Tech & Libra Graphics v. HMRC  UKFTT 180 (TC) – Led (by Jonathan Hall) in an appeal against a decision by HMRC to deny the right to deduct input tax in the amount of £6.7m on the basis of the connection of the Appellant’s deals with a fraudulent tax loss. Avtoprevoznisto v. Director of Border Revenue  UKFTT 547 (TC) – Instructed by the appellant in a successful appeal against a decision not to restore a vehicle which had, without knowledge of the company, been used by a relative of the company’s owner to import cannabis into the UK. Pilats v Director of Border Revenue  UKFTT 193 (TC) – Instructed for the respondent in an appeal against a decision not to restore a vehicle and goods in which the Tribunal’s conclusion turned on how issues of proportionality should be approached in such cases. Beverex Hungary Ltd v. Director of Border Revenue  UKFTT 175 (TC) – 5 joined appeals against decisions not to restore large quantities of alcohol imported into the UK. Akay v. Director of Border Revenue  UKFTT 164 (TC) – Appeal against a decision not to restore an uncut, certified diamond worth approximately $35,000 in circumstances where it had been imported into the UK without proper declarations being made for the purposes of its temporary entry. Projosujadi v. Director of Border Revenue  UKUT 297 (TCC) – Instructed on behalf of the respondent in an appeal against a tribunal decision where CITES requirements had not been complied with. LVTC Limited v. Director of Border Revenue  UKFTT 544 (TC) – Appeal considering the extent to which an appellant was required to satisfy the Home Office it owned goods to make a successful restoration claim. HMRC v. IWC Limited (in liquidation)  Highbury Corner Magistrates’ Court – Application for the condemnation of a large amount of alcohol following its seizure as part of a criminal investigation, with the proceedings being contested by the liquidators of the claimant company.